Sony is now pushing out an update for the Xperia Z3+ (infamously known as the Z4), Z5, and Z4 tablets with a new update. The new version carries the firmware number 32.2A.5.11 and replaces the firmware number: 32.2.A.0.305. The update is now rolling out to all the aforementioned model lineups and their respective variants, including dualSIM versions across many regions. 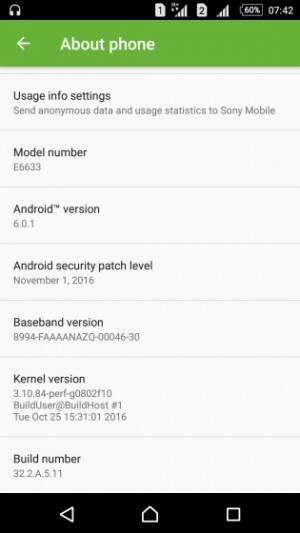 This Android update brings security patches up to Google’s November bulletin. Side note: the December security bulletin was just released today by Google along with new OTAs for Nexus devices. Has anyone else gotten this update on their Xperia device? Let us know!